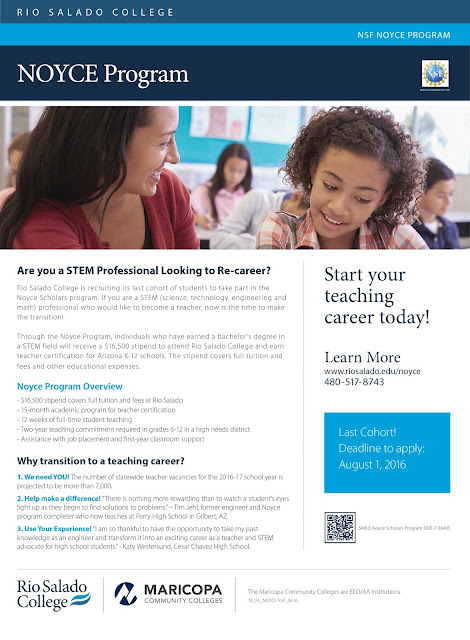 Rio Salado College is looking for STEM professionals to re-career as teachers to help Arizona schools meet major shortfalls. That’s where Rio Salado comes into the picture. The college is helping to prepare the next generation of STEM teachers thanks to the Noyce Scholars Grant funded by the National Science Foundation. 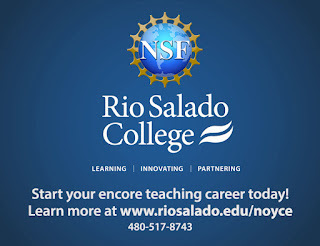 The grant provides a $16,500 stipend to individuals who have earned a bachelor’s degree in a STEM subject to attend Rio Salado College and earn teacher certification for Arizona K-12 schools. The stipend covers full tuition and fees and other educational expenses. 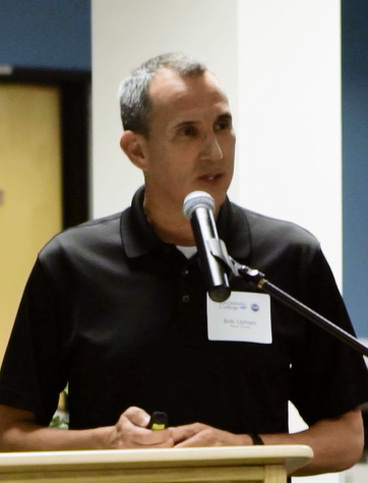 Students-turned-instructors in the Noyce Scholars Program are excited to show youth across Arizona the possibilities available when they apply themselves to STEM subjects. 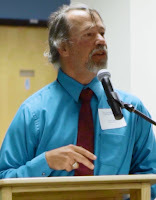 “The Noyce program allowed me the opportunity to pass along my love of the sciences to the next generation of engineers, scientists and mathematicians,” said Timothy Jehl, a retired Intel electrical engineer who earned teacher certification through the Noyce grant. Jehl now teaches engineering at Perry High School in Gilbert. “There is nothing more rewarding than to watch a student’s eyes light up as they begin to find solutions to problems” he said. Former civil engineer Bob Upham earned his teaching certification in December 2015 and started teaching math at Kyrene Middle School. “As a Noyce Scholar I have been given a tremendous opportunity to pursue my dream to be a secondary math teacher,” Upham said. Students interested in the Noyce Scholars program must complete a 15-month academic program and commit to teaching for two years in high-need areas in grade 7-12 school districts. Upon program completion, students receive assistance with job placement and first-year support in the classroom. 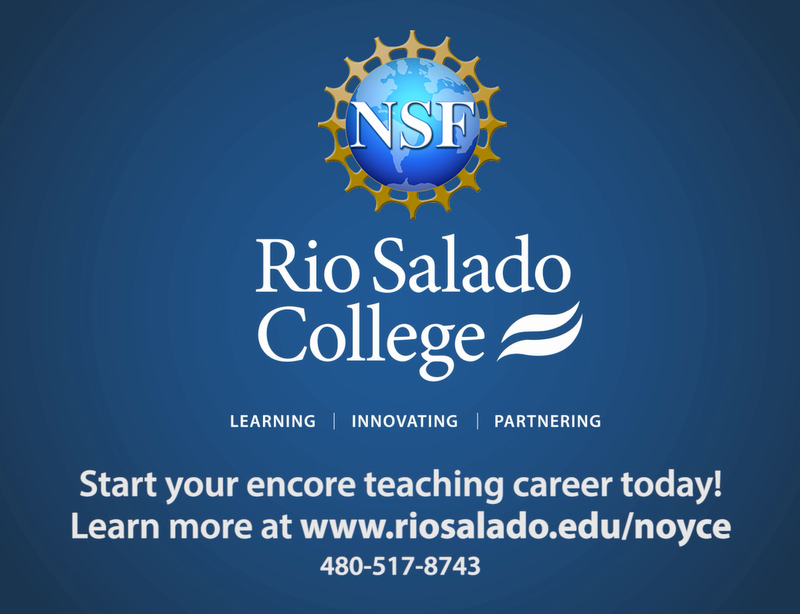 The deadline to apply for Rio Salado’s Noyce Scholars program is August 1, 2016. For more information visit www.riosalado.edu/noyce.